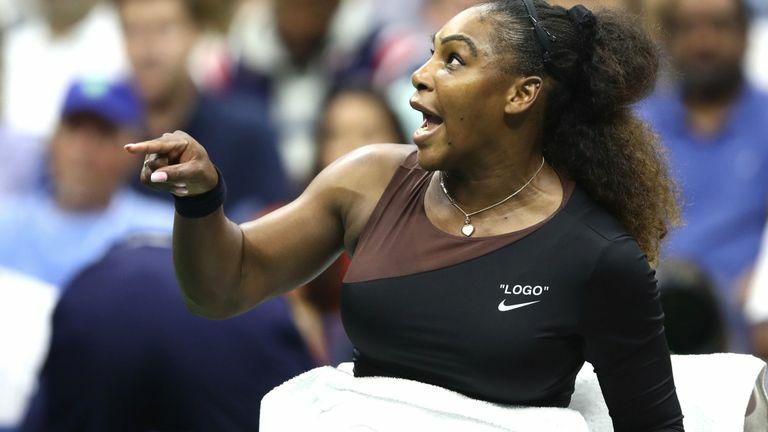 Serena Williams lost the US Open Championship Finals to Naomi Osaka. During this tennis match, Williams threw a temper tantrum and didn't reign it in until the umpire, Carlos Ramos, docked her a game. Osaka was already ahead of Williams. Osaka was probably going to win the tennis match anyway. It wasn't the first time that Osaka had beaten Williams. And it probably won't be the last. Although Williams can claim to be the best female tennis player ever, her career is winding down. Williams is in her late thirties. Osaka is about to turn twenty-one. There aren't any physically demanding sports where the older person routinely beats the younger one. It's just the way things are. Eventually the body can't do what the mind demands. In time, even the mind can lose some competitive hunger. Winter is coming for us all. Father Time is undefeated. I don't avidly follow women's tennis but I have noticed that Williams' crackups usually occur when she is losing. Athletes such as Michael Jordan, John McEnroe, George Brett, Muhammad Ali, and other champions were often abrasive or even abusive to umpires, judges, referees, sparring partners, or teammates. There is a train of thought that says "Show me a good loser and I'll show you a loser." 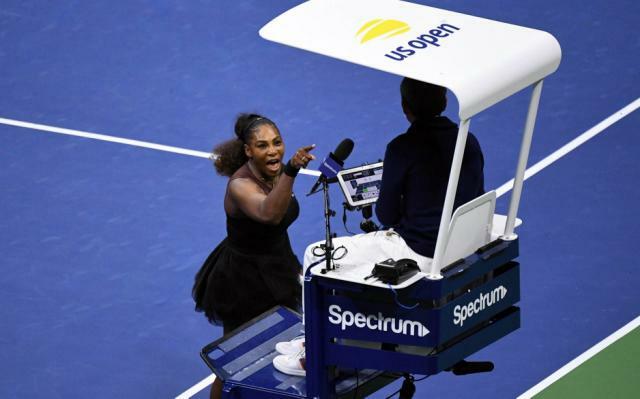 The intensity which has allowed Williams to dominate her sport for the better part of two decades is the same intensity that causes her to hurl insults at or make threats against umpires and line judges. I doubt that she can turn that off. So I was nonplussed by Williams' tirade. The only thing which annoyed me is that rather than make the normal semi-apology "I had a bad day/I lost it/I don't want to talk about it/Just one of those things" which most athletes make once they cool down, Williams doesn't appear to think she did anything wrong. Williams made the claim that the umpire was picking on her because she was a woman. Well that's not the case. Here's what happened. Williams was losing to Osaka. Williams' coach attempted to provide some instructions from the stands. The US Open forbids coaching from the stands. Many tennis insiders say that many umpires, players and coaches ignore that rule. Williams claimed she didn't see her coach, but nonetheless did what her coach wanted. Well Carlos Ramos did see the coach. And he gave Williams a warning. Williams didn't like that and told the umpire about himself. Later on Williams smashed her racket. That is a point violation. Ramos docked Williams the point. Williams hit the roof. She continued to harangue and insult the umpire, threatening his livelihood and finally calling him a cheat and thief. The umpire stayed cool and docked Williams a game. Williams had a meltdown and starting ranting about her daughter, claiming that the umpire was sexist and that she was standing up for women. She summoned higher ranking tennis officials to the court. But although they appeared sympathetic they weren't going to overrule an umpire.Williams finally shut up and started playing tennis again. Now even further behind, Williams could not defeat Osaka and lost. Although Williams and her defenders made a lot of assertions about Ramos and women in tennis the facts don't support them. I can't think of any major sport where a player, even a star, even the biggest star, can extensively and continuously insult a game official, point a finger in his or her face, and question his or her integrity, without getting a fine, a penalty, a technical foul or whatever the equivalent may be. Superstars often get different rules than scrubs. That's life. But even superstars sometimes must shut up and play. Ramos is apparently widely known for being a stickler for the rules. Some umpires regularly give a very long leash to some players to vent and yell. Ramos is not among those umpires. If he is presiding over your tennis match it's probably best to tone down your verbal and physical histrionics. That's true for men and women players. Lastly it's simply untrue, as Williams alleged, that women are treated more harshly then men are in tennis infractions/fines. Men are penalized more by a rather wide margin. However, in the four Grand Slam events over the past 20 years, men have been penalized significantly more often than women, according to a New York Times report on Friday. The report, looking at fines data at Grand Slam events from 1998 to 2018, found that women were fined 535 times, while men were fined 1,517 times. Not everything must serve a gender narrative. Williams isn't standing up for women when she's playing another woman. Yes, Williams will be remembered as one of the greatest players ever-certainly the best female one. Yes over the years she has endured vicious attacks based in sexism and racism, often centered on her looks. But this incident is not about someone who was victimized by a sexist umpire; It's about someone who doesn't like losing.Tennis doesn't need to change its rules to allow more boorish behavior. Osaka has taken the high road. Williams was (and is?) a hero to her. Osaka has said that her victory was bittersweet. Megyn Kelly Out At NBC?